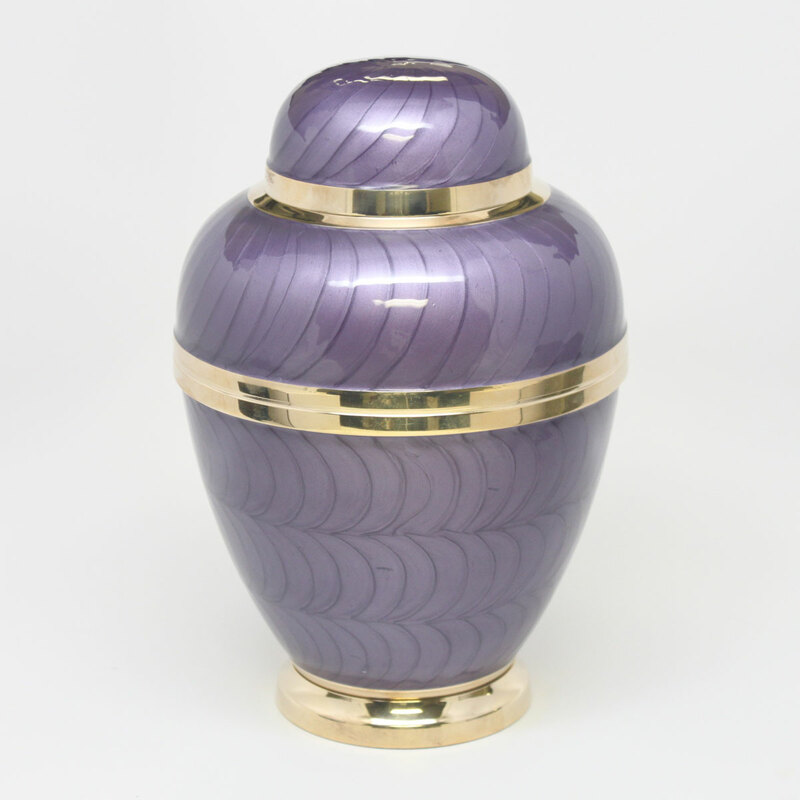 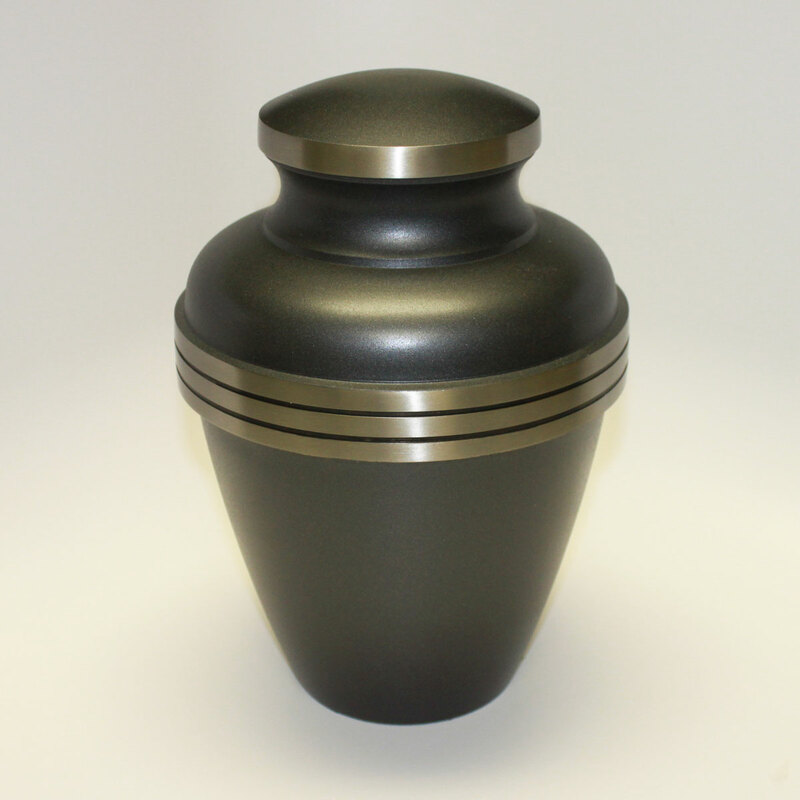 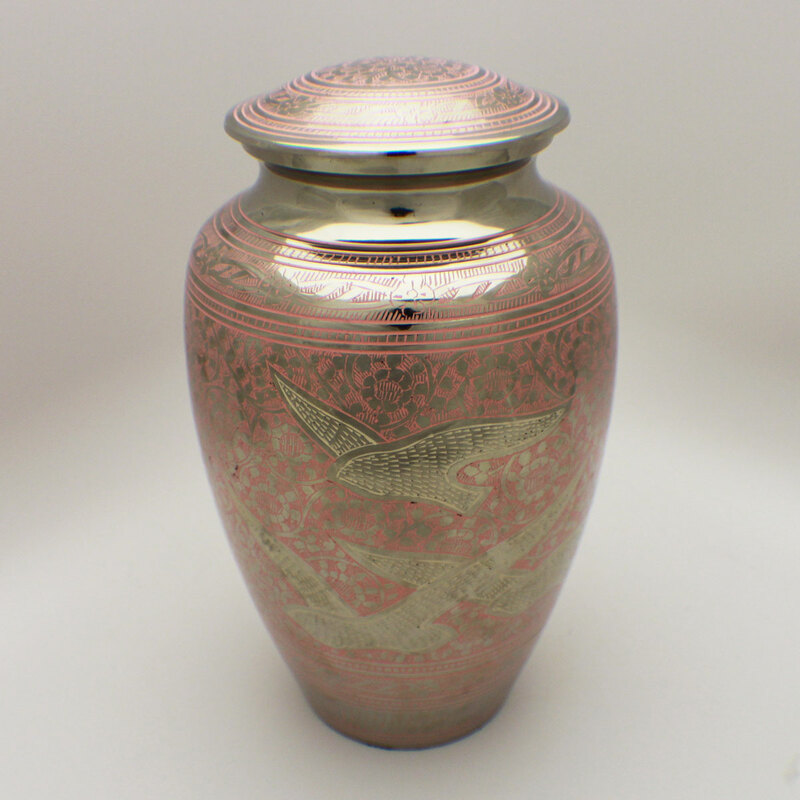 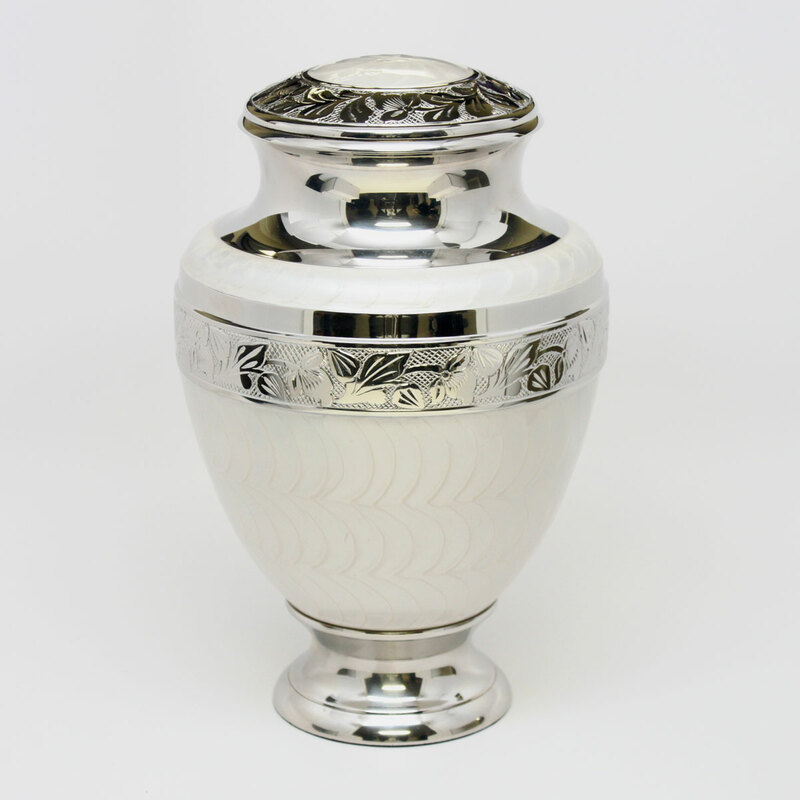 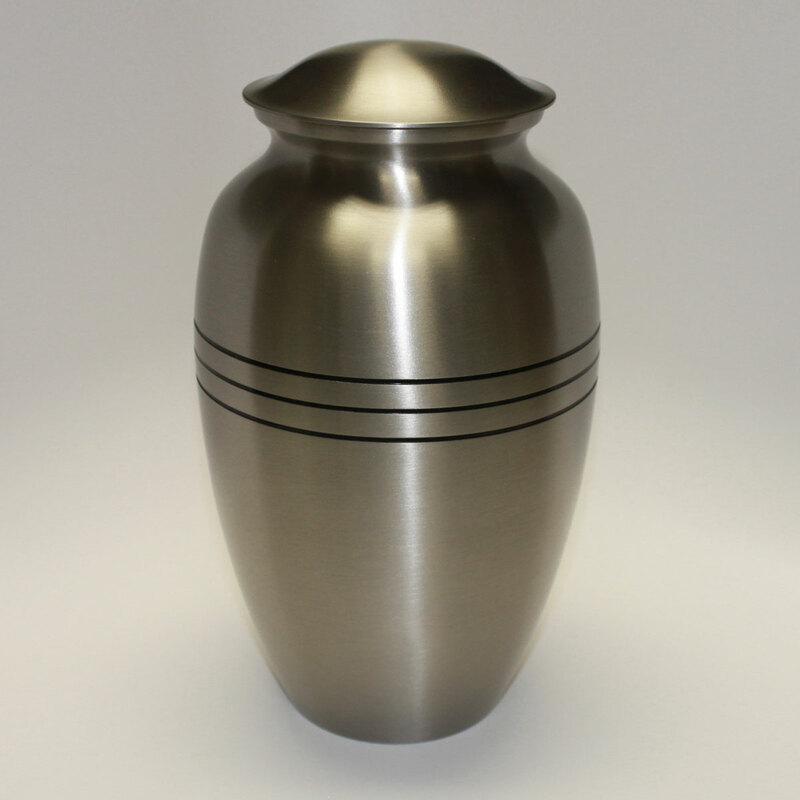 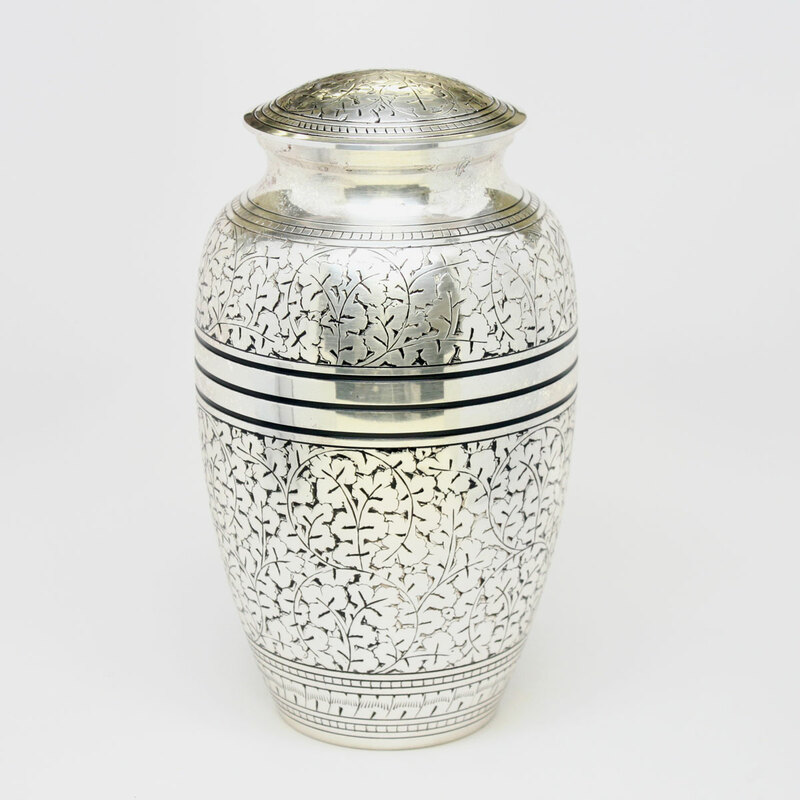 This beautiful Artisanal Cremation Urn, a two-toned gun metal accented urn, is a full-size adult urn. 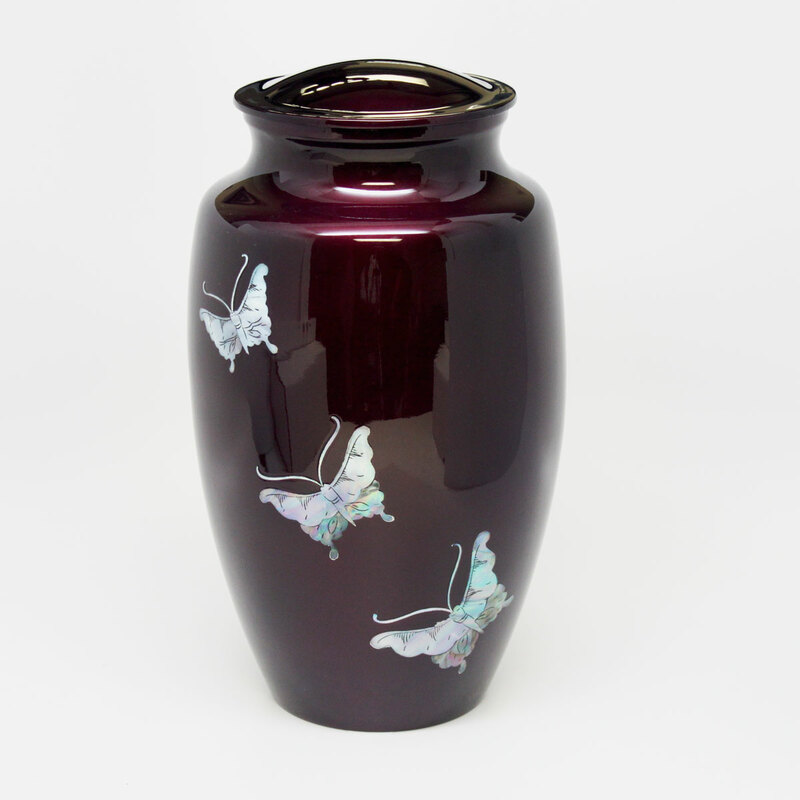 Modern monarch design with black floral design. 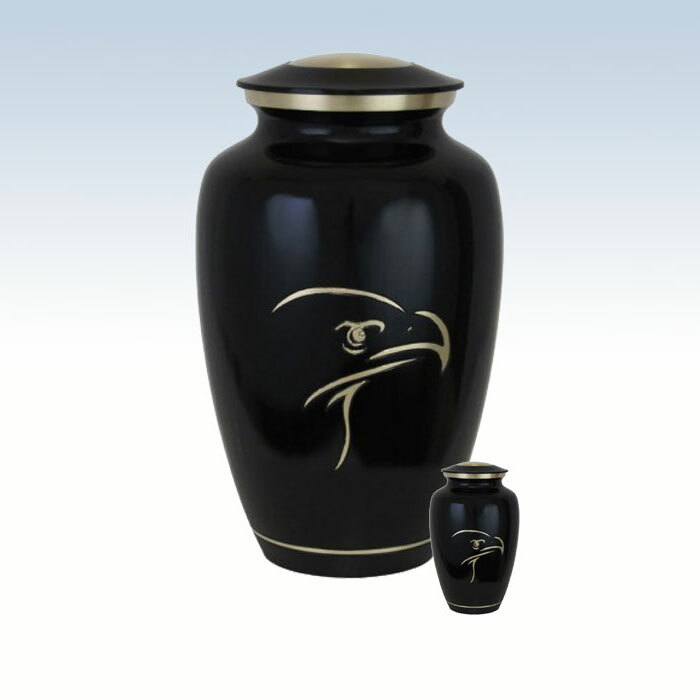 Matching keepsake available. 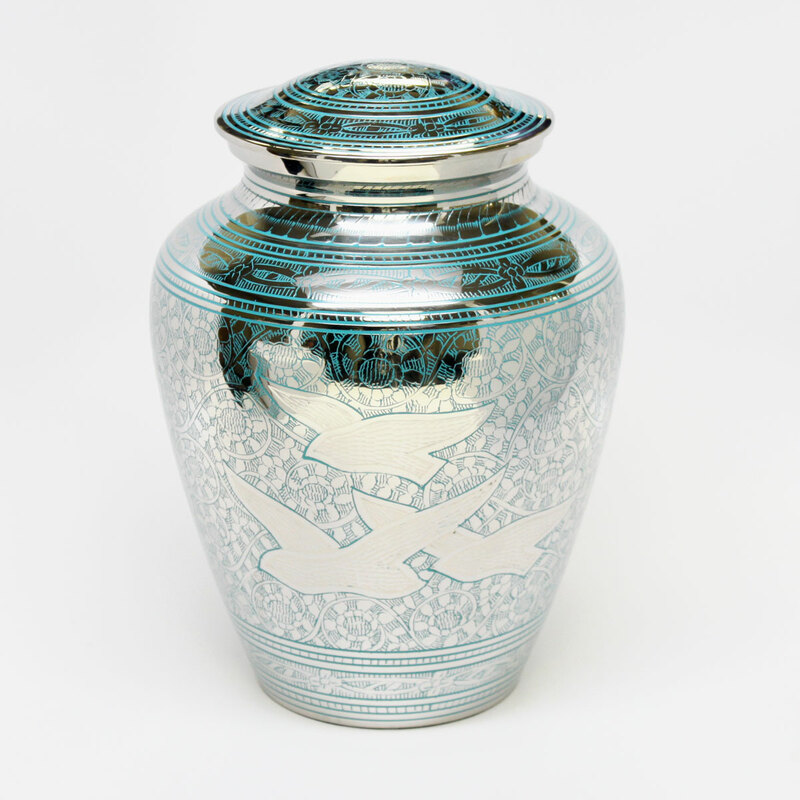 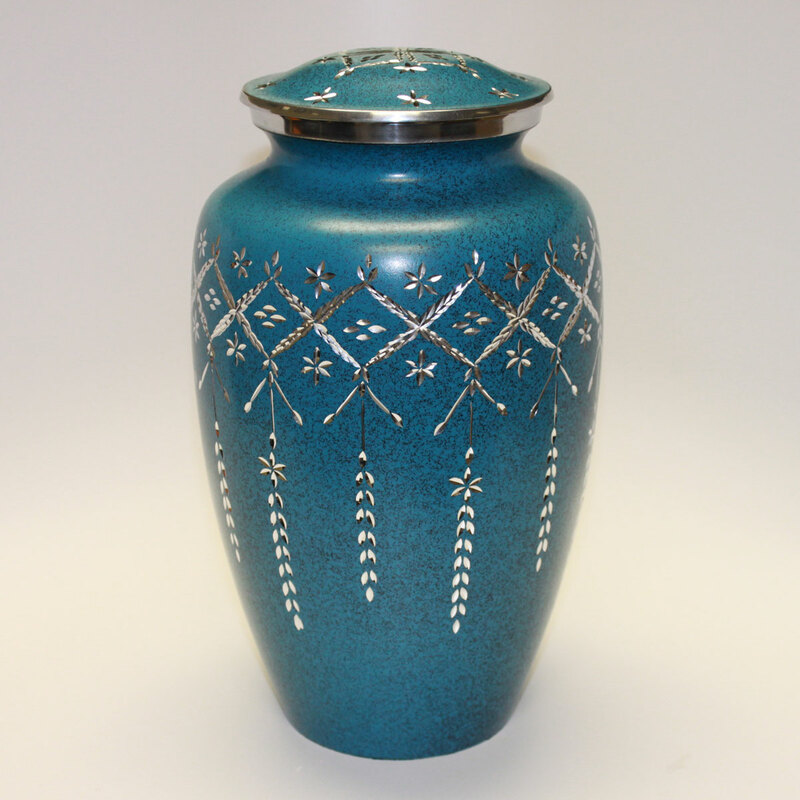 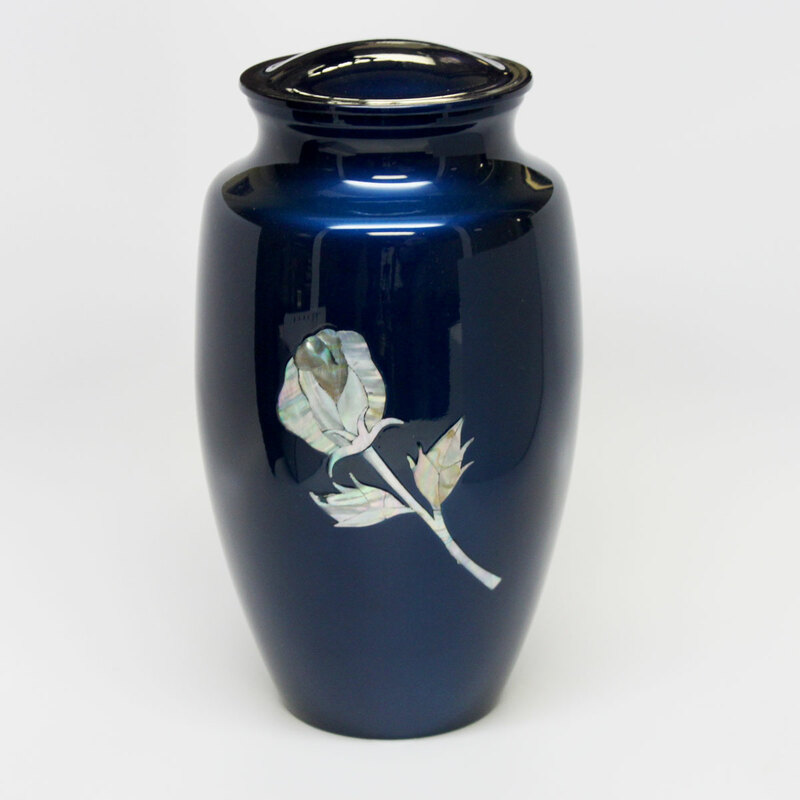 Blue monarch style urn with embossed Rising Star design. 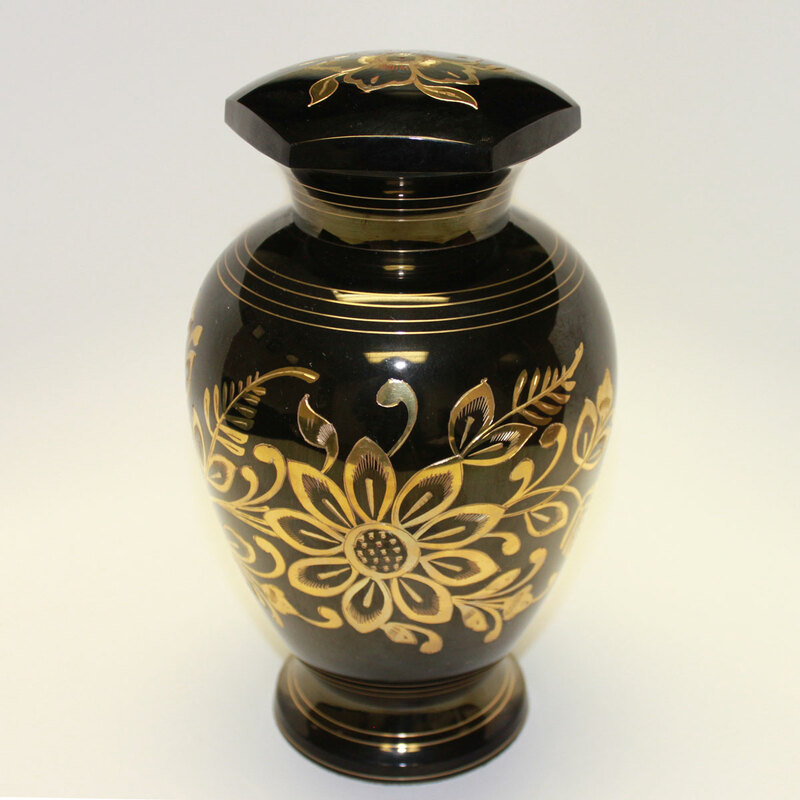 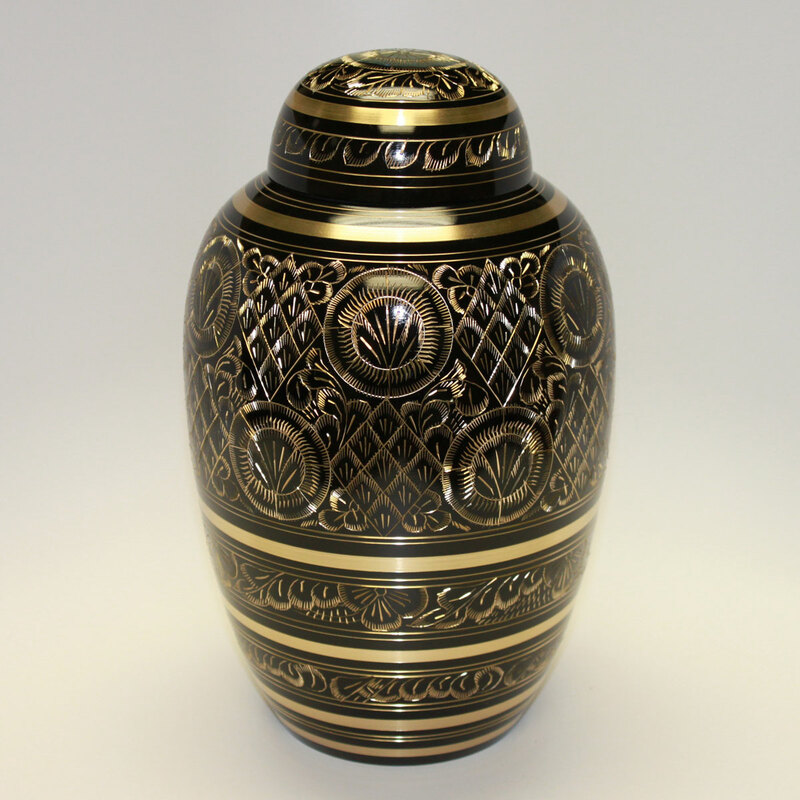 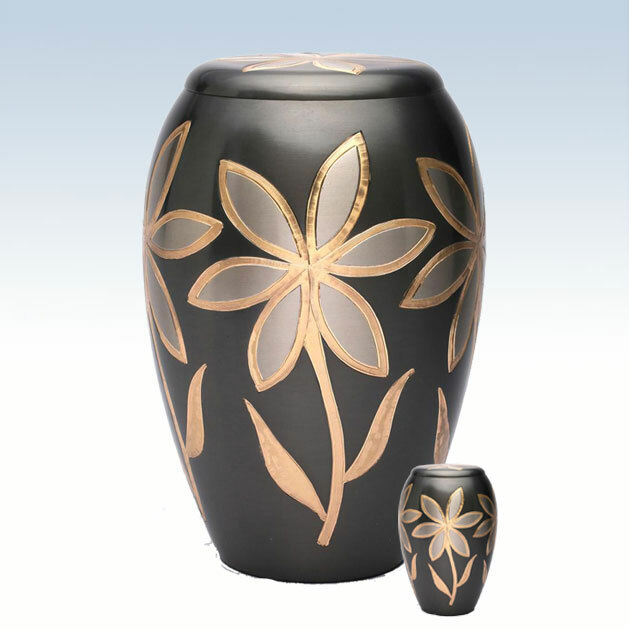 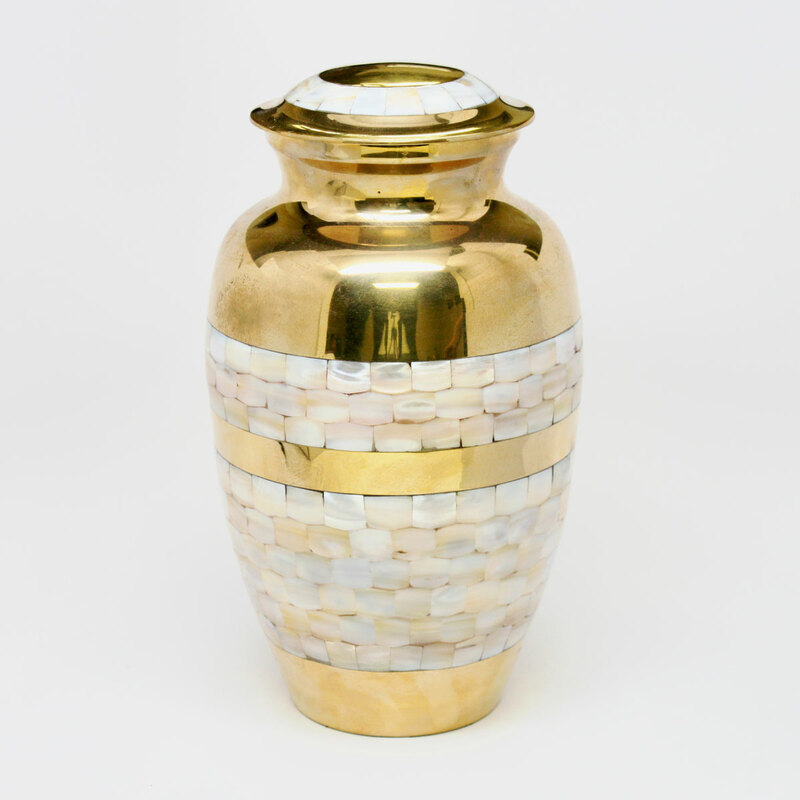 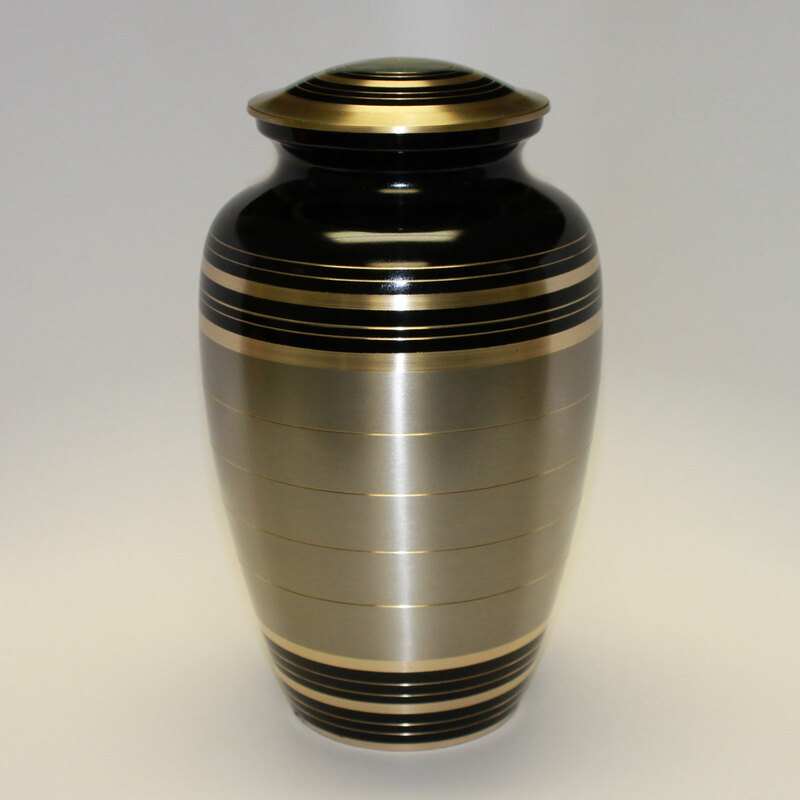 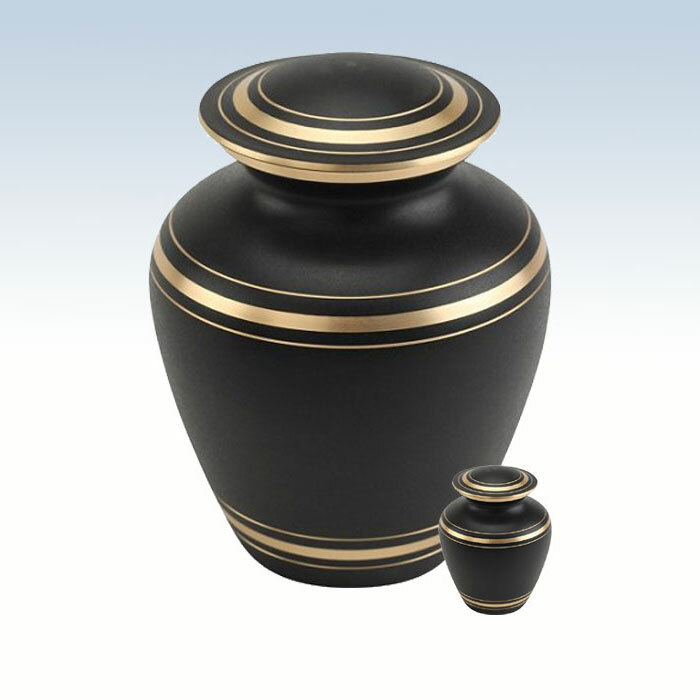 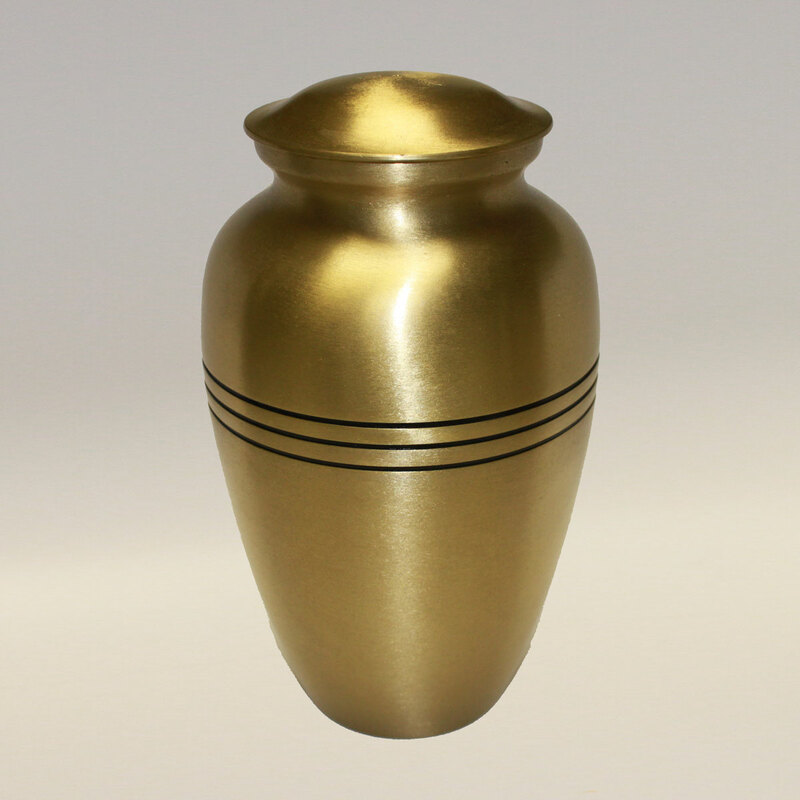 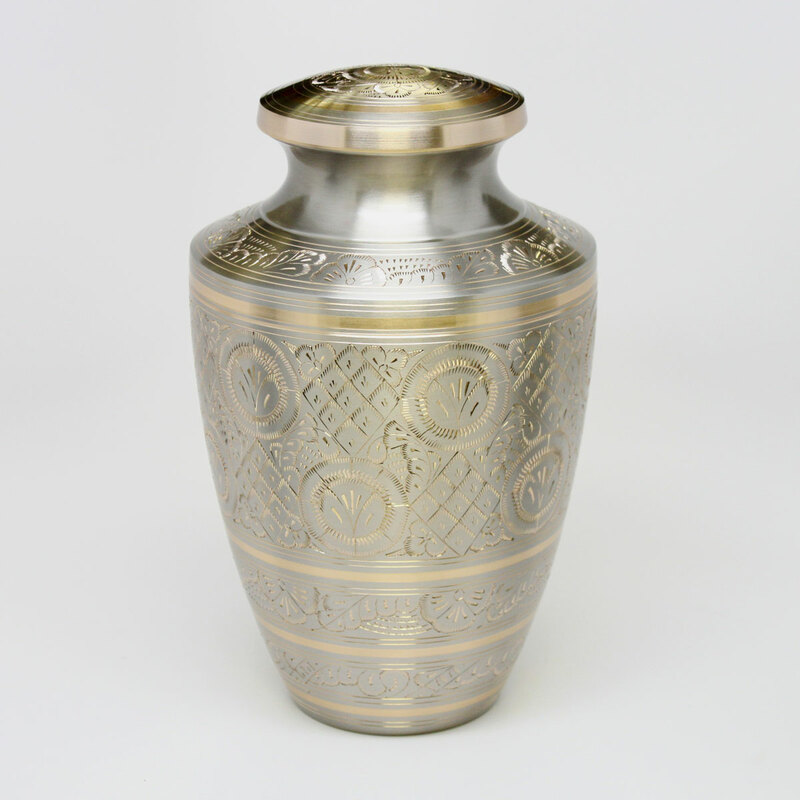 Classic urn with simple Black & Gold banded design. 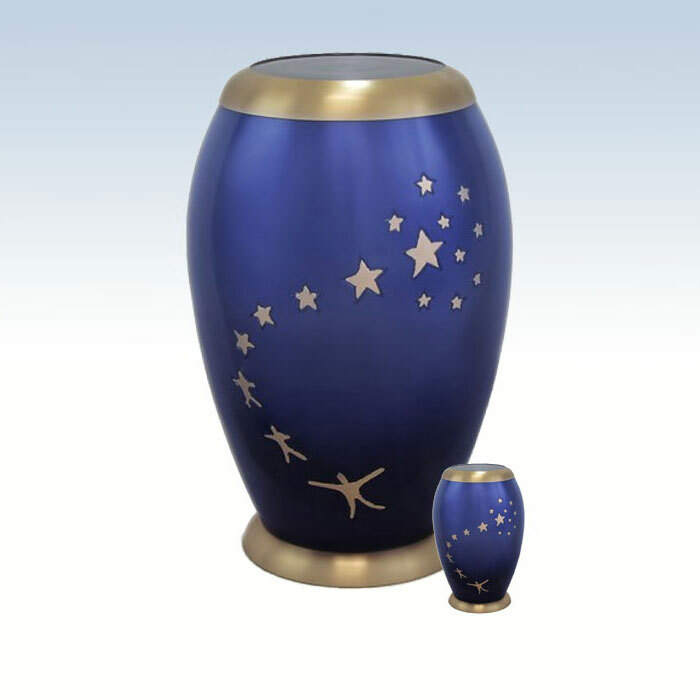 Matching keepsake available.